The political service of the George Herbert Walker Bush family, which has produced two U.S. presidents and two state governors in the past 40 years, needs no introduction to the vast majority of Americans, or for that matter to many around the world as well. 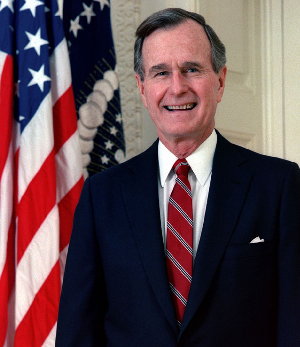 Less well known is that several members of the extended Bush family, including 41st U.S. President George H.W. Bush himself, have been deeply involved in both international philanthropy and promotion of U.S. friendship and cooperation — with a particular focus on U.S.-China relations. 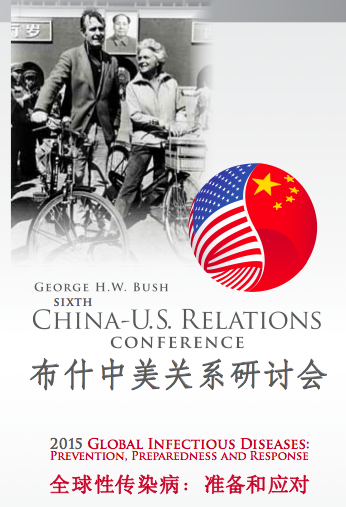 A salutary exemplar of Bush involvement is the 6th China-U.S. Relations Conference to be held May 11-13, 2015 at Hotel ZaZa in Houston, Texas, continuing the vision and legacy of President George H.W. Bush and his family toward establishing better understanding, maintaining closer ties, and nurturing important collaborations between China and the United States in the 21st Century. Conference hosts include The Texas A&M University Health Science Center and the Chinese People’s Association for Friendship with Foreign Countries. Co-hosts include the Peking University Health Science Center. Conference Co-Chairs are Madam Li Xiolin, President of the Chinese Peoples Association For Friendship With Foreign Countries, and Mr. Neil Bush, chair of the Bush China U.S. Relations Conference. Neil Bush is the third son of George H.W. Bush, and brother to 43rd U.S. President George W. Bush, and former Florida Governor Jeb Bush. Neil Bush is the chair of Singhaiyi, a Singapore company that invests in U.S. real estate. He is also a director of Hong Kong’s Hoifu Energy, which operates a diverse line of energy businesses. He joined the Board of Directors of Escalera Resources earlier this year, and additionally is a new member of the Board of the Asia Society Texas Center in Houston. 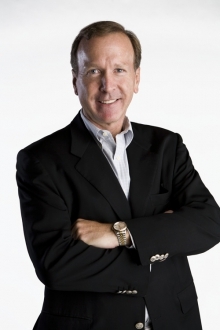 In his professional life, Neil Bush is a banker, oilman, international businessman, and developer of international business opportunities. Active in service, locally, nationally, and internationally, Mr. Bush devotes himself to communicating and facilitating cooperation between China and the U.S. He serves as chair of the Board of Directors of Points of Light — an international volunteer organization dedicated to expanding the vision launched by his father in helping mobilize people to take action on causes they care about through innovative programs, events and campaigns, and highlighting the critical importance of volunteers to the success of individual lives and the life of America and the world. Mr. Bush is also a director of the Bush School of Government and Public Service at Texas A&M University, and serves on the board of the Houston Salvation Army. With his wife, Maria, he co-chairs of the Barbara Bush Houston Literacy Foundation, which is dedicated to increasing literacy rates for Houstonians of all ages. Neil is proud that the family passion for service has passed on to his children. Neil Bush’s son, Pierce Bush, mentors an inner-city youngster and leads Big Brothers Big Sisters in Houston. The Theme of the 2015 Bush China U.S. Relations Conference is: “Global Infectious Diseases: Prevention, Preparedness and Response,” and the meeting’s central focus will be the critical role played by both China and the United States in prevention, preparation for, and response to emerging infectious disease outbreaks and pandemics around the globe. Conference organizers maintain that in our current era of global connectivity, frequent intercontinental travel, and shared vulnerability, China and the United States must work collaboratively, pooling available academic, industrial, non-profit and governmental resources toward averting the widespread human suffering and economic and social disruption that could result from epidemics or pandemics of infectious diseases such as Ebola virus, MERS, or influenza. Conference attendees will discuss how public health infrastructure can be made ready for responding to infectious disease threats through the development of an integrated, resilient, global strategy that will need to include a synergy of environmental monitoring, disease detection, prevention, and medical response readiness. This strategy will be dependent upon development and deployment of state-of-the art medical health care technology, and on the education of highly skilled professionals in multiple health care and related fields. Under the “Global Infectious Diseases: Prevention, Preparedness and Response” theme, the Conference will bring together government officials, scholars, non-profit representatives, entrepreneurs, and policy makers from China and the United States to examine and expand the critical role played by China and the United States in preventing, preparing for, and responding to emerging infectious diseases and pandemics. The recent and current Ebola virus outbreak in Africa and its direct impact on the United States gives this Conference meeting an even more urgent context. In addition to plenary sessions featuring world-leading physicians, scientists, policymakers, and government officials, the Conference will include scientific and policy roundtable forums focused on key scientific, technical, and policy challenges potentially inhibiting effective infectious disease prevention, preparedness and response both in China and the United States as well as in the developing world, and on developing specific action items for further multinational research, development, and implementation. It is hoped that Conference participants will be able to identify solutions and develop strategies for engaging commercial partners with academia and non-governmental organizations in order to establish sustainable collaborations that improve global health. The ongoing success of the China-U.S. Relations Conference series on China-U.S. relations has been due to the strength of the conference program and the consistently high caliber of speakers and attendees. Representatives from China and the United States have achieved a great deal of progress in furthering collaboration and research between the two countries, starting with the first conference in 2003, the theme of which was ” Opportunities and Challenges.” Collaborations were strengthened and new relationships were established at the second conference held in Beijing in 2005 (“Trade, Diplomacy, and Research”), and the third conference in Washington, D.C. in 2007 (“Development Energy Security”). The 2009 conference (” Looking Ahead After 30 Years”) was held at the Renaissance Beijing Capital Hotel in Beijing, China, on October 21-23 of that year, and the fifth Conference in the series (“Institutionalizing Collaborative Research Partnerships”) took place on October 23-24, 2011 at the Annenberg Presidential Conference Center on the campus of Texas A&M University at College Station, Texas, which is also home to The Bush School of Government and Public Service. In interviews with BioNews Texas Contributing Editor Charles W. Moore (CM), Mr. Neil Bush (NB) and Dr. Brett P. Giroir, M.D. (BG), Chief Executive Officer of the Texas A&M Health Science Center, and Director of the Texas Task Force on Infectious Disease Preparedness and Response, shared some perspectives on the Bush family legacy. CM: In a nutshell, how would you personally view/define the Bush family legacy of public service? NB: My parents learned from their parents the old biblical adage that “To those whom much is given, much is expected.” My grandfather was a great role model for his children. He served his community as the town moderator and his state as a US Senator. After building a successful business, my father launched a career in politics and diplomatic service and my mother embraced charitable causes with a focus on literacy, both setting great examples of service for me and my siblings. My brothers George and Jeb have both served at the highest levels in government, my other siblings and I lead various charity organizations, and the next generation of Bushes are actively involved in serving through politics and charity. The Bush family has a deeply rooted culture of service. BG: The China-U.S. Relations Conference is designed to continue the legacy of President George H.W. Bush, who in my opinion, defines public service and excellence at every level. Looking at any part of his career — WWII hero, Ambassador, President, Past-President — he defines a life lived for others. What makes his dedication to service unique is that he combines that with an incredible ability, competence, and strength in leadership. CM: Mr. Bush; Are your brothers President George W. Bush and Governor Jeb Bush involved in specific areas of public service philanthropy as well? Are either or both of them involved in the China-U.S. Relations Conference or The Bush School of Government and Public Service? NB: My brothers are both active in promoting their personal legacy issues. George W. works with veterans, with African health care issues, and through his institute he promotes freedom around the world. Jeb is a champion for education reform and has been a mentor to an inner city kid. They and their spouses are active in politics and charitable work following a great tradition set by our parents. CM: How does the Bush family legacy affect/ relate/ integrate with the conference’s overall impact? NB: One of my father’s lasting legacies will be his longstanding commitment to promoting closer ties between the United States and China. Ever since he was the “bicycling Ambassador” in 1975, my father could see the potential global benefit of China’s peaceful rise. He often stated in his post presidency that the US-China relationship is the most important bilateral relationship for each country. I travel to China frequently, over 100 times since the first visit in 1975, and see how my father is held in such high esteem by the Chinese people. His support for China’s economic opening, his respect for Chinese culture and for China’s leaders, and his consistent advocacy for closer ties gives him a unique platform of influence. Now that he has become physically inactive it is my goal to extend Dad’s legacy through a reformatted Bush-China US Relations Conference. When Dad was able to participate in the conference, he would convene political leaders from both sides to talk about the importance of the relationship. In order to build a more sustained outcome from future conferences that bear his name, we decided to have the conference focus on a global issue that is of concern to both sides where political factors aren’t a barrier to cooperation. This year’s conference will focus on infectious disease prevention, preparedness and response. With the recent outbreak of Ebola, Presidents Obama and Xi have emphasized the need for close collaboration in this area, so the timing couldn’t be better. This conference and future conferences will strive to bring our two countries together to forge closer collaborations on issues of global concern. This is truly a worthy way to advance my father’s vision for this relationship. 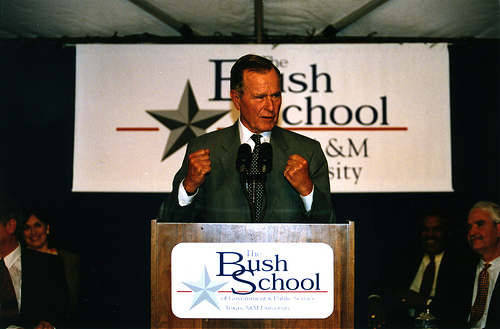 CM: Dr. Giroir, in your estimation, how does the Bush family influence and integrate with TAMU’s efforts re: this conference, its impact, and ongoing efforts? BG: Core values for Texas A&M are respect, integrity, leadership, excellence, loyalty and selfless service. These are not just words, they are a way of life for Aggies, and specifically for the Texas A&M Health Science Center. We act on these values every day, whether in the clinic providing health care for those in need, or leading the nation in providing vaccines for pandemics as the only academic-designated federal Center for Innovation, or saving lives by discovering and developing a new, rapid test for tuberculosis a disease that afflicts one-third of the world’s population. With regard to this conference, the future of global health critically depends on China and U.S. leadership, funding, innovation, and cooperation. The recent Ebola outbreak in Africa is just the latest example of the need to mobilize and empower a global coalition that can rapidly and effectively respond to diseases. And on a daily basis, both countries face the threat of pandemic influenza, antibiotic-resistant organisms, and health challenges from the environment. There is no more critical time than today for the U.S. and China to work together on these issues. CM: The theme of this year’s China-U.S. Relations Conference is “Global Infectious Diseases: Prevention, Preparedness and Response.” Is there a specific area the conference will be focusing on and how will that be carried forward post-conference in practical terms? BG: The Conference will focus on topics at the intersection of policy and science, including stakeholders from government, academia, and industry. Critical topics include the design of our national protection programs, which vitally depend on each other, as well as the role of China and the U.S. in protecting the health of developing countries. This protection may depend on rapid response teams and vaccines, but also on economic and political stability and the sustained funding of public health infrastructure. The conference will also have specific breakout sessions where technical experts will work on specific topics, such as the environment, development of natural products that can impact global health, and biotechnology commercialization across the two countries. In terms of carry forward, we intend to provide seed funding to initiate collaborative projects, and the Bush family desires to begin a long-standing foundation that can assure sustained support of initiatives. We also intend to enhance our partnership with major organizations already on the global scale, such as the Gates Foundation and the WHO. CM: Why is partnership between the U.S. and China so critical in terms of public health initiatives? BG: The United States and China are unquestionably critical in providing global leadership, innovation, and financial support. Although cooperation of all countries in the global community is critical, effective global health improvement must be substantially led by China and the U.S.
CM: How would you characterize the working relationship between the U.S. and Chinese conference organizers, and does cooperation carry on between conferences? BG: The cooperation has been good, and has also presented opportunity for learning on both sides. We have many similarities particularly among academics but also many cultural differences. The very process of putting on this conference has been of great benefit in bringing the stakeholder communities together in closer collaboration. CM: Mr. Bush; Your children Lauren and Pierce are already involved in public service initiatives. Do they anticipate carrying the Bush legacy forward in the mid to longer term? Are their Bush first cousins also involved in philanthropy? NB: Mom and Dad have emphasized that you don’t have to be President or First Lady to make a difference in the lives of others, indicating that there is a role for everyone. It has been an honor for me to serve as Chairman of Points of Light, the organization formed by my father during his presidency that is now the largest organization in the world focused on volunteerism and service. My wife and I also chair the Barbara Bush Houston Literacy Foundation helping Houston address its literacy crisis. The spirit of service that my parents have passed down to me is being fulfilled by my children and by their cousins as well. My daughter Lauren started FEED Projects to sell products that she has designed to benefit kids in schools in Africa and here in the USA. Her donations to the UN World Food Program have caused over 85 million meals to be served over the past 10 years. 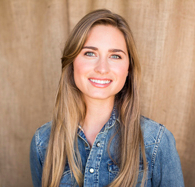 I’m in awe of her social entrepreneurship. My son Pierce, who has been a big brother to a wonderful inner city kid for six years, was recruited to join the team at Big Brothers Big Sisters and is now the Houston area President. The lives of service for Lauren and Pierce and their many cousins are just beginning. It will be fun to watch as these stories unfold. Online registration will be available until 5:00 pm (CST), May 1, 2015 or until capacity is reached. The standard registration rate is $695. To register for this conference, use the online registration form. 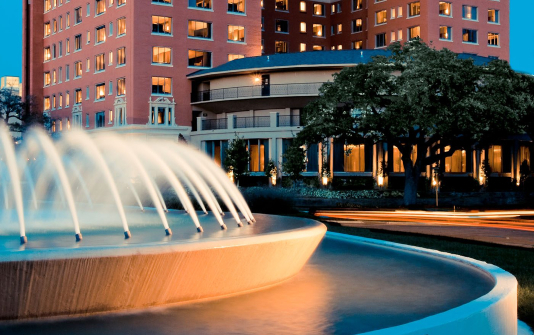 Reservations may be made by calling Hotel ZaZa directly by phoning 888-880-3244 or 713-526-1991. Reference the Bush China Conference to receive the conference standard room rate of $229. Reservations must be received prior to April 10 to receive this conference rate.